If you are a college football fan like we are, this is an exciting time of year. Football gives us a distraction from the world's woes and it gives us something to cheer for and look forward to each weekend. Football can also be a “kick off” for teaching some skills in your classroom. College Goals – It’s never too early to plant seeds of attending college in your students. Give them a dream and a goal! One school I visited displayed pennants of the schools where the teachers graduated from in the front hall. Team Mascots - This game can be adapted to any school mascot, action hero, or seasonal character. Since I graduated from the University of Georgia, UGA was my first choice. This is a quick, simple game that can be played with any age level or any skill that needs to be reinforced. It’s the perfect game if you’ve got a few minutes before lunch or a few minutes at the end of the day. 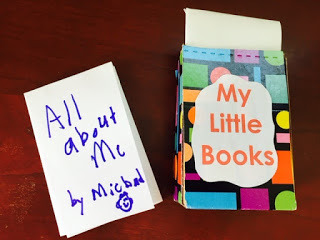 Sometimes children like big books and sometimes they like little books. This book is so much easier to make when you tell the story about going on a picnic. Now all we need is a book to write a story about our adventures on our picnic. This is a little challenging the first time you make it, but after a few times you’ll be ready to step into writing. Layer two sheets of paper about 1” apart as shown. Fold backwards to create a step book with 4 layers. 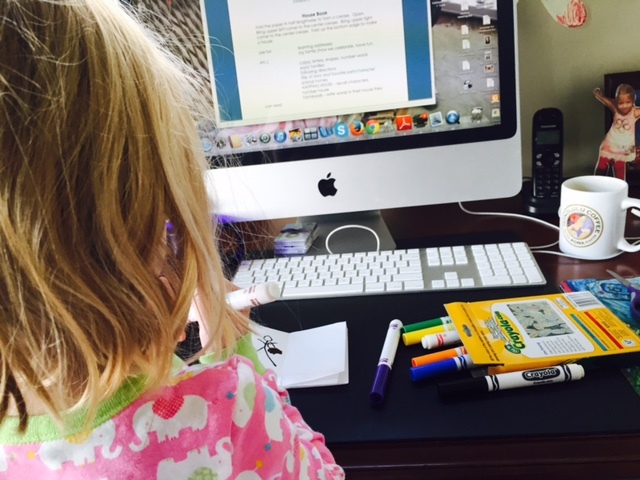 Giving children a “brochure” to write in is much inviting than a blank sheet of paper. Or try this easy version: roll paper into a circle and “smush” flat. It really is JUST BECAUSE DAY, and a day to remember to shut your door and read a book, sing a song, or play a game “just because.” I think sometimes we beat a book to death by asking about the author, illustrator, beginning, middle, end, characters, setting, problem, resolution, illustrations, vocabulary…etcetera, etcetera. Sometimes you just need to read a book and LET IT BE! Give children a blank book to write whatever they want JUST BECAUSE! Read, Write, Quiet Boxes are a nice way to blend skills with creativity and reading and writing for pleasure. Directions: Each child will need to bring in an empty food box from home. Cut the top off the box and make slanted sides. Children can paint their boxes or decorate them with construction paper. Store blank books, pencils, and simple books that they can read in the boxes. Children can use their boxes as a quiet activity after lunch or if they finish their work early. 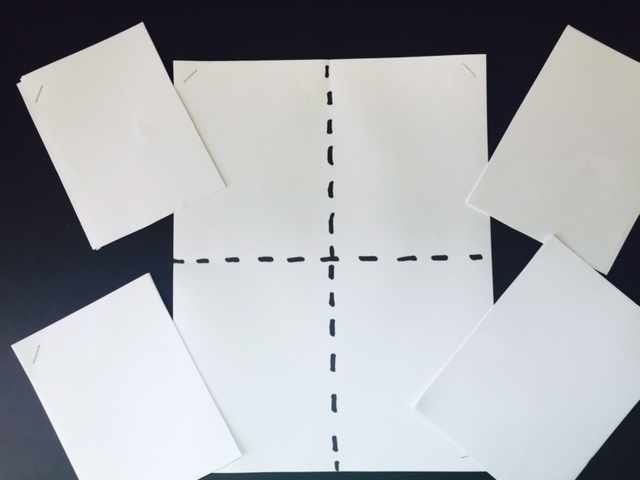 Lay four to six pieces of paper on top of each other. Staple the four corners. Cut into fourths, and you’ll have four little books. 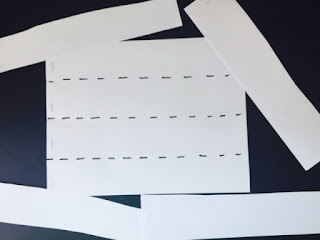 *Staple four times on the short side and then cut horizontally to make “skinny books.” Use for writing names, sentences, ABC’s, numbers, making patterns, and so forth. Kalina is in her jammies on my lap helping me make books. Open in half. Cut down each crease to the middle fold. *Children like to call this a “garage door” book. 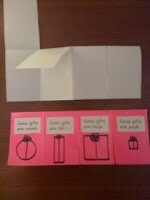 card (“Some gifts are large. Some gifts are small. Some gifts are round. Some gifts are tall. If you give a little boy or girl a hammer, they’ll find a million things to hammer. And, if you give a little boy or girl a book, they’ll think of a million things to write in it. This week I’ll be traveling to Minnesota and Michigan, but I’ve got some powerful “tools” to share with you while I'm out of town. IF a child can do a ditto, it’s a waste of time. If a child can’t do a ditto, it’s a waste of time. Some of you might not even know what a “ditto” is. Dittoes existed before copy machines, but they were purple and smelled like alcohol. However, the point remains the same. 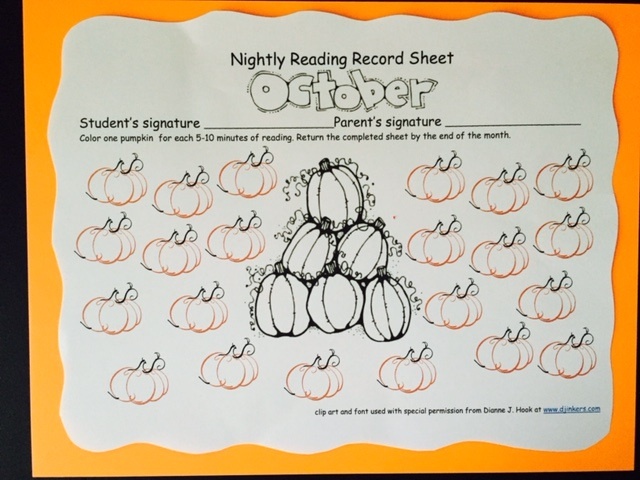 There are so many more meaningful things to do instead of worksheets - such as BLANK BOOKS! 1st – They are perfect for differentiated instruction. Blank books are open-ended to challenge children at different skill levels. 2nd – Blank books can be used to reinforce reading and writing standards across the curriculum. 3rd – Writing and drawing activate more areas of the brain than typing a key on a computer. 4th – Many children don’t have books in their home so this is a great way for children to share reading with their families. 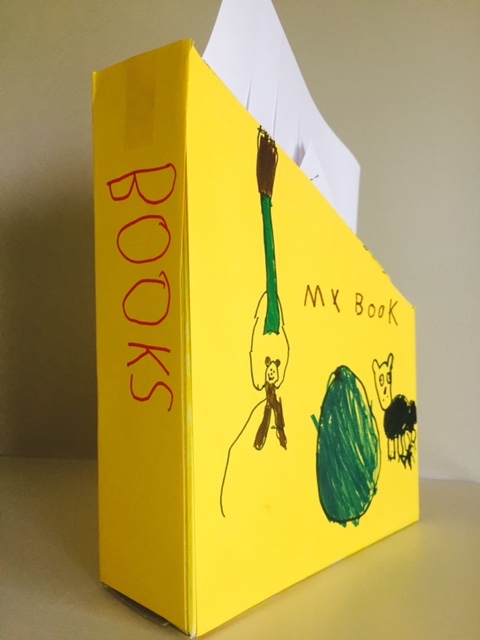 5th – Blank books are much more engaging than worksheets and encourage creativity. 7th - If children write a book they will be more motivated to read the book. 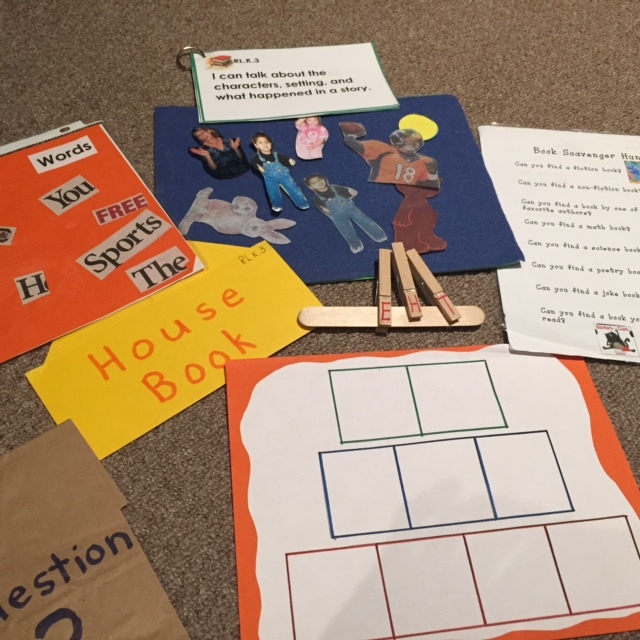 8th – Children have a tangible project that demonstrates learning when they make a book. 10th - Blank books can be used in learning stations or as an activity with a partner or small group. Note! Blank books don’t always have to have a purpose. Sometimes you can put them out in a writing center and let children write or draw whatever they want! Helpful hints when making books! A. 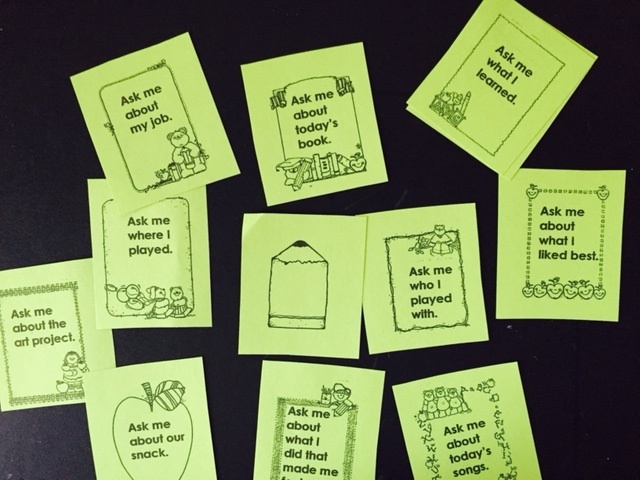 Make these books with a small group of children, such as a guided reading group. It’s much easier to help 5 or 6 children learn the steps than the whole class at once. B. Model making the book from start to finish. The brain remembers as a whole. The second time the children can make the book with you as you slowly go through the steps. 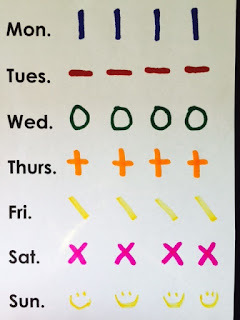 C. Make the same book each day for a week, assigning different tasks with the book. Once children have mastered making several of these blank books you can use them for assignments the rest of the year. D. Suggest children use as many colors as they are in age in their books. For example, if you are five years old you should use at least five colors. If you’re seven, you should use seven colors. *You could also ask older students to use as many words in their sentences as they are in age. 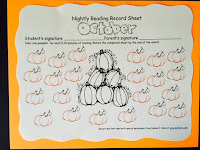 E. Blank books are a perfect activity for parent volunteers to do with the class. F. Save blank books throughout the year as part of their writing portfolio. If you’ve been to my workshops you already know how to make this book. Talk about simple, easy, and useful! backward, and so on to bind the pages together. Hint! Fold paper lengthwise to make a tall book. Cut paper in half to make a little book. Use a colored sheet of paper on the outside and a white sheet on the inside. Thanks to my director and film crew (K.J.) for helping me make these videos! I know many of you begin the year by teaching the children to write numerals. If you practice singing this song as you make the movements in the air it will be much easier for the children to write them with a pencil. Note! The term "numeral" refers to the symbol and the term "number" refers to the amount, although most people use them interchangeably. *Let children suggest other body parts they can write with, such as their elbow, foot, nose, etc. *Have children do invisible writing on each other’s backs. *Make writing wands that children can use to make the numerals in the air by taping 18” pieces of caution tape or ribbon to craft sticks. 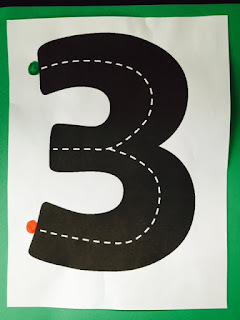 *Download highway numbers at makinglearningfun.com and let children trace over these as you sing. Hint! Put a green dot where they start and a red dot where they finish. 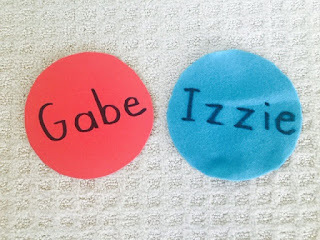 *Make play dough plates by writing numerals on plates with a permanent marker. Children roll the play dough and place it on top of the plate. Can they make a set of objects to match the numeral? *Squirt shaving cream (non-menthol) on a table or smooth surface and ask children to write numeral. They can also draw shapes in the shaving cream. Clean up with a sponge and you’ll have clean tables and hands! *Have children trace numerals in a sand tray or sand box. I received this anonymous text last week and it seemed like it was sent to me so I could pass it on to you. Blessings for a wonderful school year! May HIS face shine upon you. May HE grow you up to become the teacher HE purposes you to become. Now Geese, go out there and do that thing that you do. Be Awesome and start flapping!!!! I'm calling this "Feel Good Sunday" and so I'm sharing a video from Jane Bond's school in Rwanda. Talk about happy children! Notice the hands-on materials and playful activities. Makes you want to go teach at Amahoro School, doesn't it? HOCUS - POCUS - FOCUS! Did you know that August 22nd is National Tooth Fairy Day? I know you didn't lose a tooth, but she left these "prizes" for you to help you focus children's attention. Hint! I would choose one of these at a time and use it for several weeks. When you do the same attention grabber repeatedly it becomes an "indicator" in the brain to help children know it's time to look, listen, and learn. Teacher says: Is everybody happy? After children have repeated the clap and are focused on you, give directions for the next activity. Clap hands together loudly, then reverse movements. Cut the label off a can of applesauce and glue it to a piece of paper. 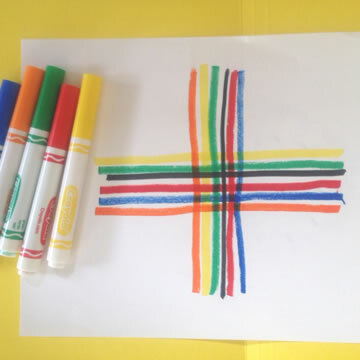 Tape the paper to a stick and whenever you want the children to sit "criss-cross applesauce" hold up your sign. That's a good example of visual literacy because before children read words they read pictures. *Thanks to my friend Pamela Pounds for this fantastic idea. Is there anything better than a finger play to engage children’s hands, mouths, and minds? 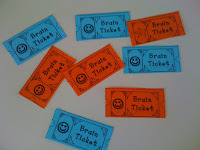 Here are a few of my “oldies but goodies” for focusing children’s attention. The children today respond just as well as the children I taught 45 years ago. These finger plays are a “sneaky” way to get those little hands just where you want them. P.S. Kalina and K.J. are visiting this week. Kalina is my student and K.J. is the cameraman! *If children are wiggling their hands, ask them to please talk to their hands and tell them to be quiet. Hint! I would take one of these and use it over and over for a week. Repetition is good for oral language and the rhyme will be an “indicator activity” that it’s time to listen. Glue it to an index card you can keep in your pocket or write it on a language experience chart. Here’s another blog in response to a call from a teacher about struggling to get her students engaged and quiet. I think there’s an epidemic of impulsivity going around our country as a result of too much screen time. I’m not an expert, but here are my thoughts and some ideas that might help. Do you feel like some of your children are not connecting with you when you talk to them, look them in the eyes, or try to engage them? When children spend time in front of a screen they are a passive participant. The people on the screen do all the talking and moving and they can sit there and watch. 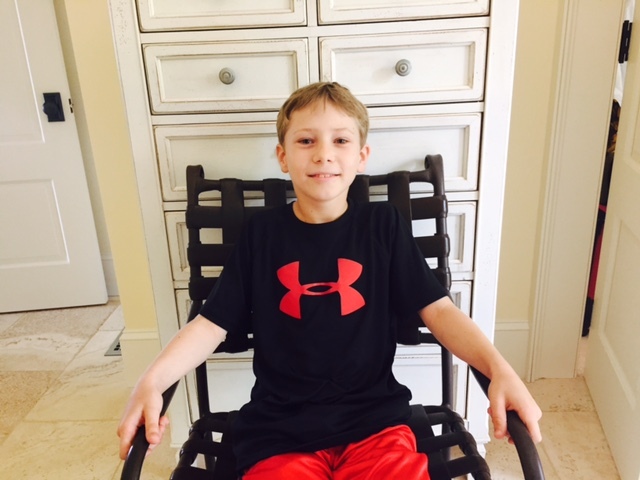 Children who spend too much time in front of a screen can often disconnect with reality, but you may be able to remedy the problem with some of these tips. Explain what your expectations are when you sit down for circle or group time. It’s a time to listen and learn. Your feet need to be….Your hands should be… Model, model, model! If your class has a difficult time sitting in a spot you can make them a “sitter spot” from felt squares or fun foam. 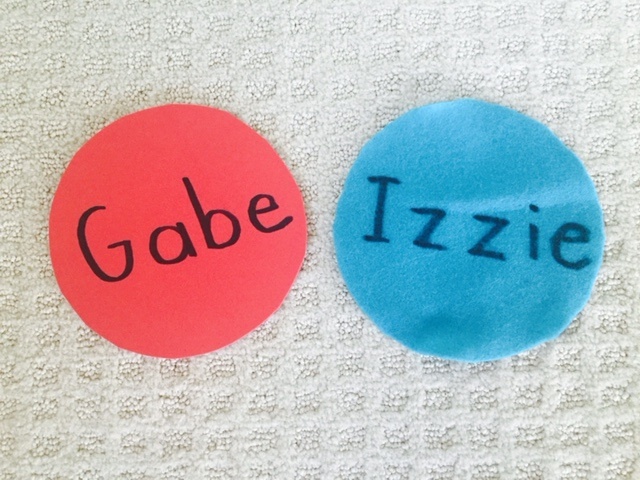 Cut circles (any size) and write the students’ names with a maker. Spread these out so they all have a defined place to sit. Explain that it’s their “special” spot. One of the simplest techniques for “impulsivity” is to separate children who tease each other. Putting a high-energy student between two quiet friends will definitely have a calming effect. Lower your voice and talk very slowly. When the teacher calms down the children will follow. 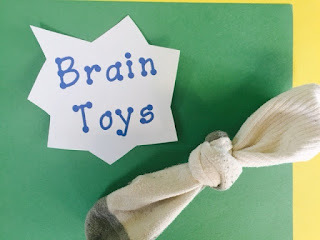 Get a box or basket and write “brain toys” on it. ("Brain toys" sounds so much more positive than "fidget toys. ")Tie some old socks in a knot and place them in the box. If children have a difficult time keeping their hands to themselves “invite” them to get a brain toy. Wouldn’t you rather a child knot and unknot a sock than poke or pick? 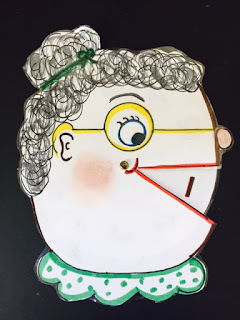 Get some bubbles and play a game called “beat the bubbles.” Blow bubbles and challenge children to be sitting quietly before all the bubbles pop. *You can also play a music box or xylophone as a signal to be quiet and listen. Children tell us things by their behavior. Look out for signs of frustration or things that trigger out of bounds behavior. Teaching routines and helping children focus takes time. Set your expectations high and practice, practice, practice. In my first education class I learned the importance of being FIRM, FAIR, AND CONSISTENT. That’s still pretty good advice after all those years. HOW DO I MANAGE CENTERS? Since I’ve been at this rodeo for over 45 years I have seen many ways to manage centers. There is no “right” or “wrong” way, but you do have to adapt to your district’s requirements, the age of your students, and your standards. Each week my students received a “contract” with ten centers they “got” to visit during the week. We did center rotation for 45 minutes at the end of the day when they were too exhausted to sit and listen. They got to choose where they went and how long they stayed in each center, but the goal was to do all ten activities by the end of the week. If they finished they got “Fabulous Friday”! What was Fabulous Friday?? They got to take their shoes off and do whatever they wanted. They LOVED it!!! Yes, I did limit the centers to 2 or 4 at a time. On Monday we’d go around the circle and they chose where they’d like to start. If a center already had four people they had to make another choice. When someone left a popular center then they could go there. This really worked itself out. 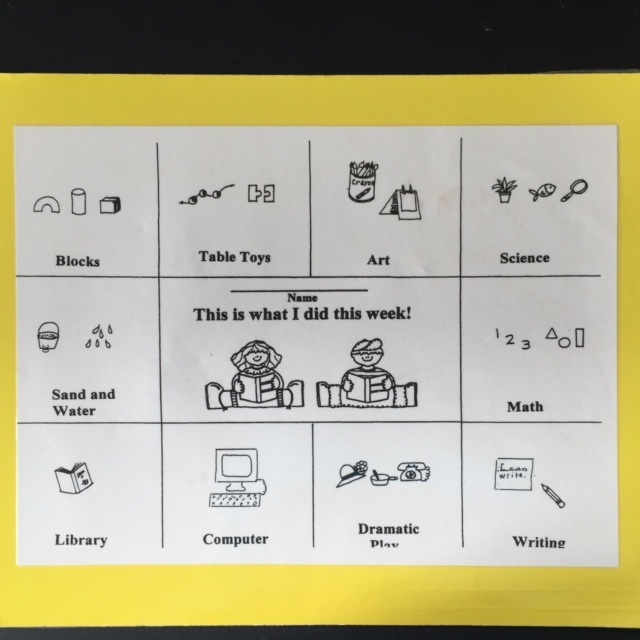 If they wanted to stay in blocks all day Monday they could, but then they’d have to work a little faster the rest of the week to complete their center cards. It was amazing how they became self-directed learners by the end of the year! I visited another kindergarten that had something similar. Children had index cards with numbers 1-10 on them. These were tied to a string that they wore around their necks. Scattered around the room were the numbers 1-10 with something to do at each station. 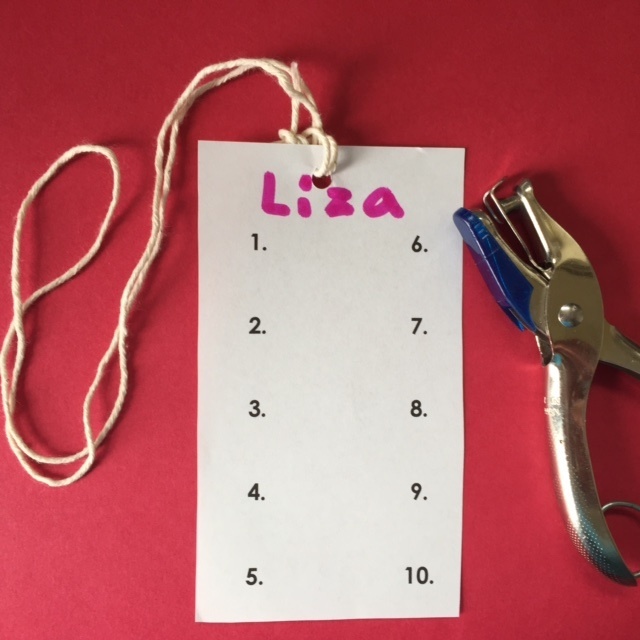 As children completed the activity they raised their hand and the teacher punched their card. Another idea might be to have a class list with the children’s names at each center. 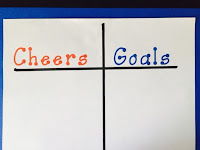 Write the focus goal at the top. As children complete assignments they make a smiley face or other comment next to their name. 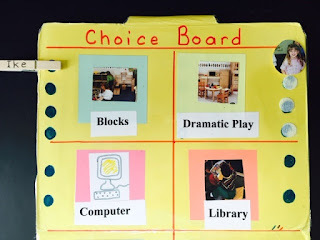 Make a choice board with the different learning centers you have in your classroom. 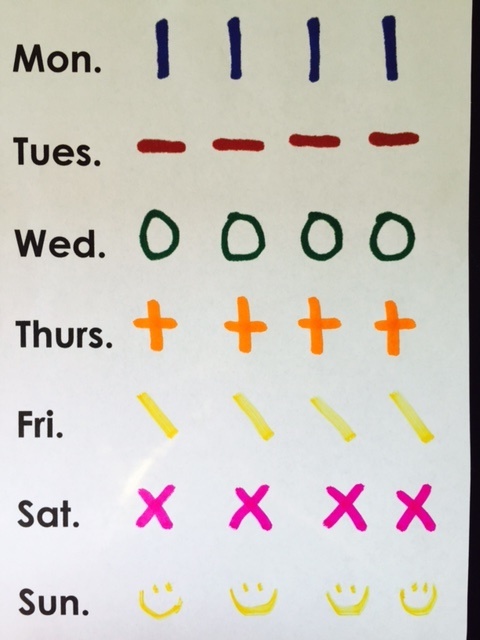 Put dots to control the number of children who can play in each center at a given time. 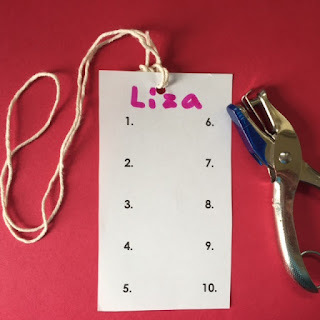 Write each child’s name on a clothespin or put Velcro on the back of their photo. Children take their clothespin or photo and clip it by the center where they would like to play. If all the spaces are used, then they must make another choice. They may stay there as long as they want. When they leave they take their clothespin and attach it to another center that is open. *Use alphabetical order to determine who chooses first each day. For example, on Monday the first five children in the alphabet get first choice. On Tuesday, the next five in alphabetical order, etc. Make a digital camera available so children can take photographs of the work and projects they do in centers. Take a look at my June 16, 2015, blog to look at an idea for center signs. This blog is in response to a phone call I received from a teacher last week. I hope this information will be useful to you in helping administrators understand the value of center time, as well as helping you balance what is best for children with your district’s expectations. Wish I were in charge of the world!!!! I’m smiling because I was around when “learning centers” first appeared in the 1970’s. I’ve watched them evolve through the years and just like there are many ways to make chocolate chip cookies – there are many variations of centers. The goal is to make them taste “yummy” and fun. Learning centers can be called learning stations, interest centers, activity centers, etc., but whatever the label the goal is to provide children with the opportunity to learn independently or with a small group. Let’s take a look at a few of the current “buzz” words and see how they support learning centers. Intentional Teaching – You can create centers for a specific purpose to reinforce standards and skills. *Now, don’t get all ruffled because centers might have an academic focus. There are peripheral advantages to working at a center vs. doing a worksheet. In centers children can communicate with friends and they are usually more hands-on. Purposeful Practice for Automaticity – Standards require children to repeat and practice skills. 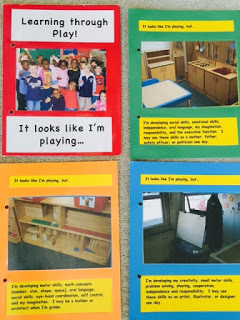 Learning centers can provide multiple opportunities for repetition using different materials. Active Learning – The more senses you activate the more likely the message will get to the brain and stay in the brain. Most center activities are hands-on and engage multiple senses. Challenging and Playful – Research emphasizes the importance of academic skills, but also the need to remember that young children need to be ENGAGED in meaningful and fun ways. Games, play dough, art, and concrete materials in centers can provide this balance. Note! If you’ll go to my website (drjean.org) and click on July and August, 2014, you will find dozens of practical ideas that make “simply” fun centers! Executive Function – EF seems to be a bigger predictor of life success and academic success than IQ. A key behavior that we want to develop is task initiation and task completion. What better way to do this than with a center activity where children start and finish a task? Centers also nurture responsibility and independence. 2lst Century Skills – The focus of most curriculums is on academic skills, but the Skills for the 21st Century remind us to integrate social and emotional goals. Creativity, cooperation, communication, and collaboration are the 4 “C’s” of 21st Century Skills that are nurtured when children work in centers. 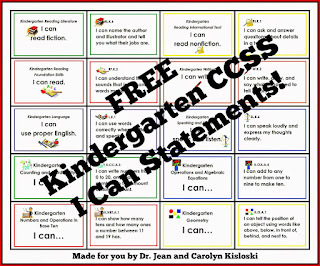 Check out the “I CAN” Center Cards that Carolyn Kisloski helped me create. This will be a visible way to show what children are focusing on at different centers in your classoom. Some of you struggle with the issue of making centers so academic that children can’t choose what they’d like to do or be creative. 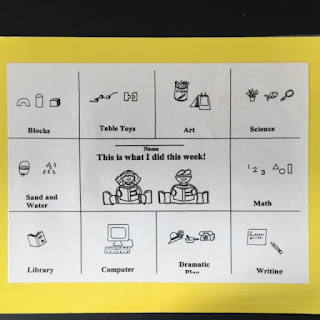 One way around that is to offer a “have to” at the center as well as a “want to.” When children have completed the required task you can have more open-ended materials for them to explore. Come back tomorrow and I’ll share some ideas for center management. In Amada Ripley’s book THE SMARTEST KIDS IN THE WORLD, one of the most interesting findings was that what parents did at home mattered significantly. Reading to children and talking about school was very important. Parents showed their children they valued education by asking about school, what they learned, what they liked, etc. Parents who modeled reading also had a positive impact. Here are a few tips to encourage parents to communicate with their children about school. Make daily journals for students by putting white paper in a pocket folder. At the end of each day students draw what they learned and dictate or write a sentence to go with their drawing. 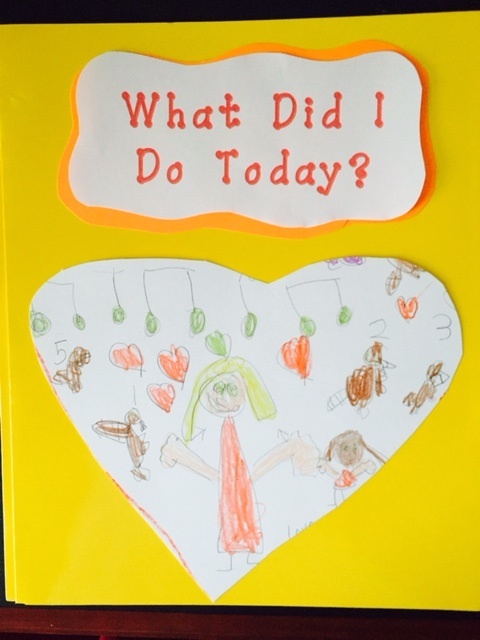 The journal goes home each evening so children can discuss what they did at school with their parents. The parents sign the journal, write comments or compliments, and return it the following day. 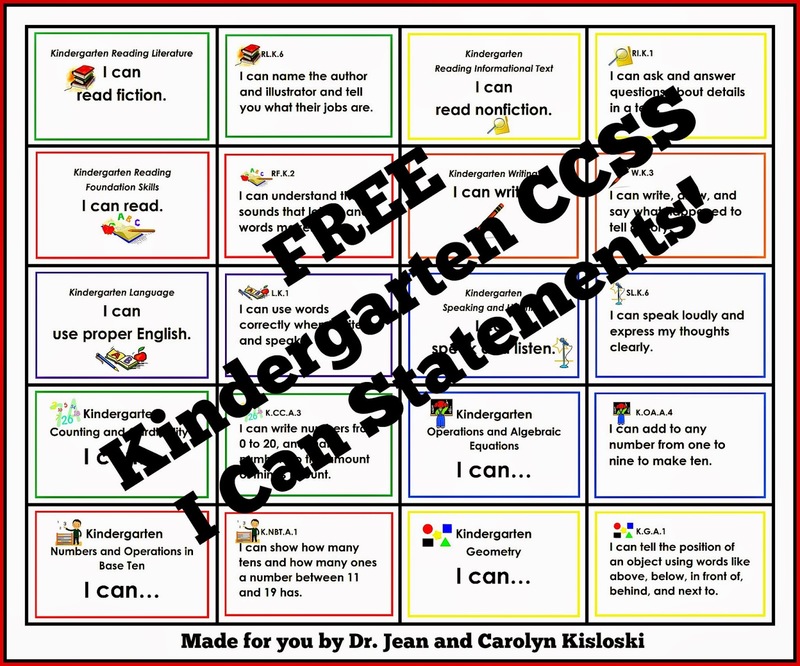 Make copies of the attached conversations starters. (Adapt them to your age level and curriculum.) Cut them apart and put them in a bag. Children draw one as they leave at the end of the day and give it to their parents to prompt a discussion about what they did. Hint! One school suggested that parents "turn it off" in the car when they picked up their child. The quiet time might encourage children to talk about school because they'd know they had their parent's undivided attention. Ask parents to keep a log of how much time their child spends in front of a screen for a week. The following week ask them to “turn it off” and spend an equal amount of time reading, playing games, doing chores around the house, etc. with their child. 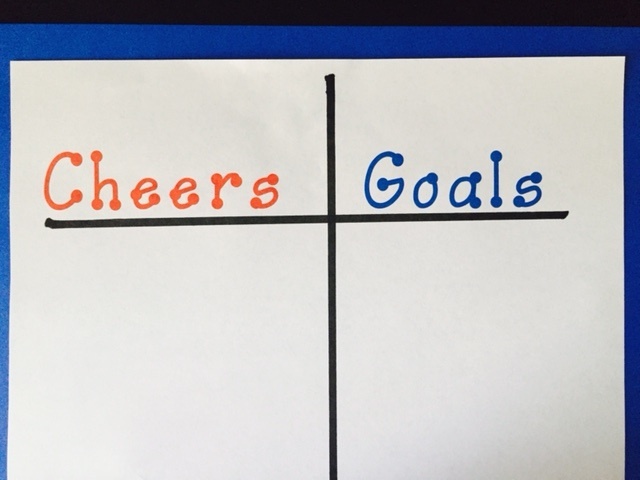 Before conferences ask parents to write down three “cheers” (positives) about their child and three "goals" that they have for their child. Explain what you will try to do to help their child accomplish the goals and then ask them what they can do to help their child accomplish the goals. 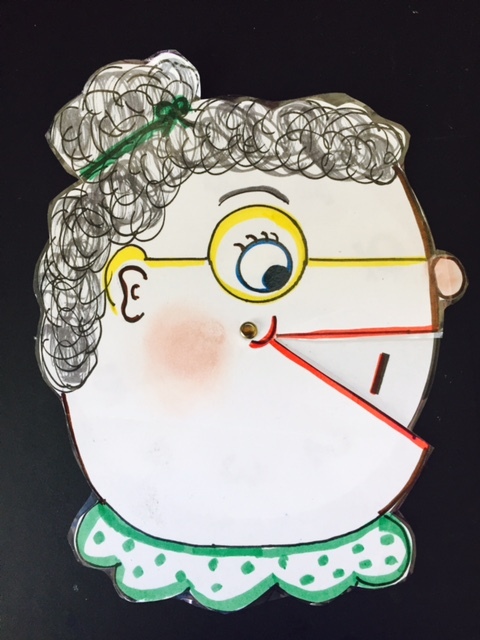 When I presented at a workshop recently several teachers asked if I would put the pattern for the “Old Lady who Swallowed a One” on my blog. If the children each had their own they could use it for numeral recognition as they sang the song. They could also use it for “one more,” “one less,” story problems, and other math activities. She said it was fun to swallow a one. What a thing to do, to swallow a two! By gosh, golly, gee, she swallowed a three! She swallowed the two right after the one. Her throat got sore from sharp-cornered four. That jumped and jived and did a dive. I think she’s sick; she swallowed a six. It wasn’t an eight, nine, ten, or eleven. She cleaned her plate and ate all of eight. I don’t think she’s fine—she swallowed a nine. She giggled and grinned and swallowed a ten. Here’s another old lady made out of a swing trashcan. 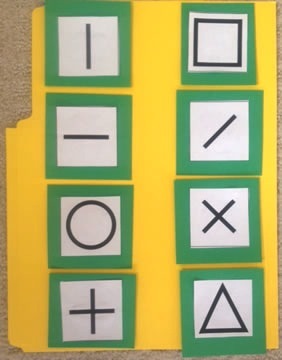 Wouldn't your students love to count and feed her numbers? Left to right orientation is a key to beginning reading and writing. Sing this song to the tune of “Head, Shoulders, Knees and Toes” as you model reading large print in front of the class. Left to right – left to right. Left to right - left to right. Wiggle them and get ready to write. Hold your pencil – not too tight. Name on your paper, start at the top. Ready to write now and don’t stop. Hint! Focus on the right hand because then the other hand is “left” over. Lotion - Rub lotion or scented lip balm on each child’s right hand. Many, many years ago when I was doing a workshop there was a younger teacher sitting next to an older teacher. The younger teacher said to her friend, "Tell Dr. Jean how you teach your kids handwriting. Your kids are the best writers in the school." The older teacher smiled and said, "We write round the mulberry bush." She then went on to tell me how they practice making strokes for weeks before she teaches them how to form letters. She demonstrated how they learn to go from top to bottom and left to write as they sing the song. They do a different stroke for each verse. Note! I think a key to this is "purposeful practice for automaticity." By repeating this every day children are able to master these basic strokes. I would have the children draw and sing as they copy what I do on the board. Here we go round the mulberry bush, the mulberry bush, the mulberry bush. Here we go round the mulberry bush so early in the morning. This is the way we wash our clothes, wash our clothes, wash our clothes. Occupational therapists are some of the smartest people I know. I’m always picking their brains for ideas that will help children learn. One thing they’ve taught me is to practice making big strokes, shapes, and letters in the air before asking children to do it on paper. Think outside the box with these strategies to help children at all age levels. 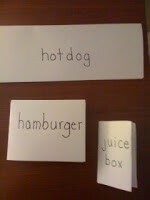 Even second graders would enjoy writing their spelling words on their “palm pilot” or tummies. Sky Writing (aka "invisible writing") - Keep arm stiff and extend index and middle fingers. Make lines, circles, slants, pushes and other strokes in the air. Note! The teacher will need to reverse movements if doing it in front of the class. 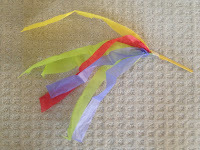 Writing Wand - Staple ribbon to a straw or tape tissue paper to a craft stick to make a writing wand. 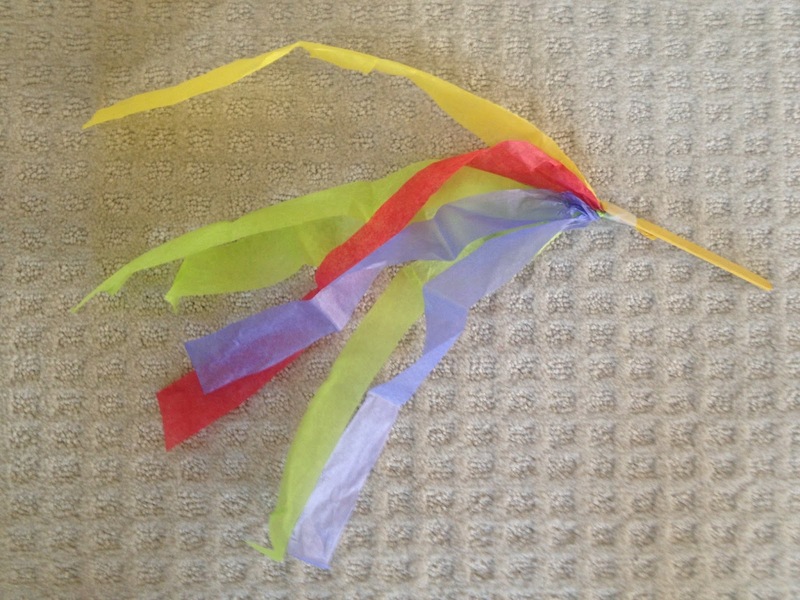 Noodles – Cut swim noodles into 8” sections and let children use these to write in the air. *Let children practice cutting, drawing, and reading on their tummies to give them control as they build upper body strength. Body Parts - Let children suggest different body parts, such as elbows, noses, toes, etc. to write with. Palm Pilot - Hold up one palm. Write on it with the index finger from the other hand. Be sure and “erase” in between letters! Back to Back - Children stand in a circle and then turn right so they are all facing in the same directions. The teacher begins by making a letter, shape, numeral, etc. on the first child’s back. The first child draws the same thing on the second child’s back. Continue around the circle as every has a turn. Wet Sponge - Let children dip a small piece of sponge in water and write with it on a chalk board. 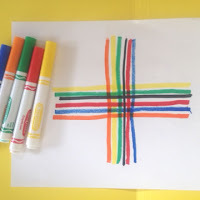 Rainbow Writing - Make a large letter or shape on a chart. Children trace around it with different colors of crayons or markers. I JUST DON'T GET IT???? BACK TO SCHOOL WITH A SONG!